His beloved daughter Mary who was baptised on the 10th February 1617 and buried on the 9th December 1624. She died of an unrecorded illness. However, the following poem suggests that Mary was born with birth abnormalities which may have led to her early death. The poet refers to her now straightened body after death. John’s son Robert was baptised on the 14th May 1624 and buried in Exeter College on September 17th 1627. He had accidentally swallowed some poison and took ten agonising hours to die. It was only one month after his mother had died. The second poem is about his sad death. The following two poems were published in 1656 as ‘Musarum Deliciæ or the Muses’s Recreation’. They were taken from the dueling muses written between two wits of the day, Archdeacon of Barnstaple Dr. James Smith and Sir John Mennis. Epitaph on Mistrisse Mary Prideaux. And we look for back our owne. 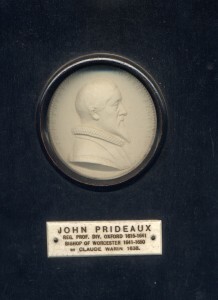 An Epitaph upon Doctor Prideaux’s Son. ‘Twere sin to wish him here againe. Rock’d from his Cradle to his Tomb. Then live and dye so at fourscore. Thou’lt say, he’s best, that’s first at home. Further poetry was written about Mary’s death by William Strode, a former student of John and associate. They were not always on the same side. But for not being there before. When each hath but its own again? When nature hath obtained maturity. Not at one time, but being ripe do fall. She died, more like a mother than a child. She took up now what due was at three score. Death removes the mitre, which is replaced by a crown. But that’s confused now the Doctor’s dead. Runs by byased fix to four against the gods. But this can hap upon a single death? If ought shall chance to drop we may call good. Starts up in holes, stinks and goes out agen. 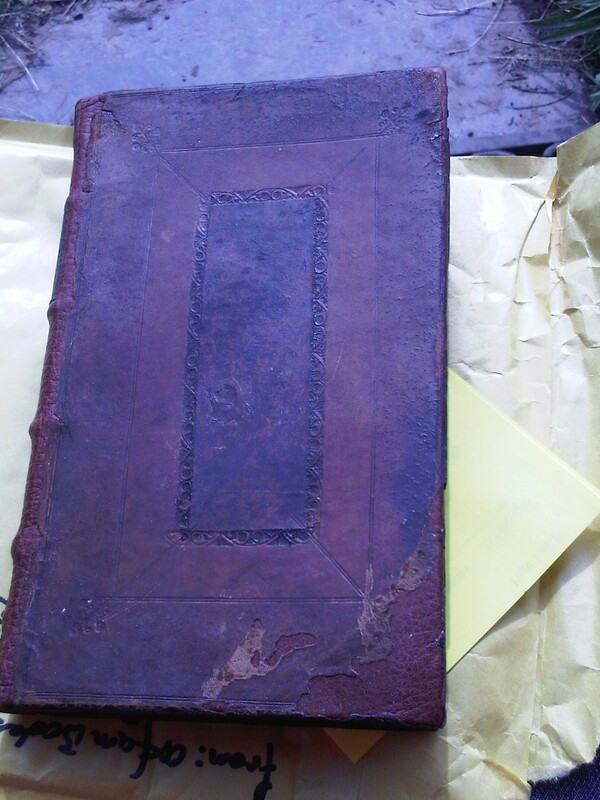 A table book of sighs books and wishes. Rally and reinforce! rout! and relieve! Like marshalled thunder backed with flames of fire! Storms mixed with storms! Passions with globes of ire! No, words in thee knew order, time and place. The transcript of that beauty once we had. The Crosier fell in Laud, the Cross in thee. 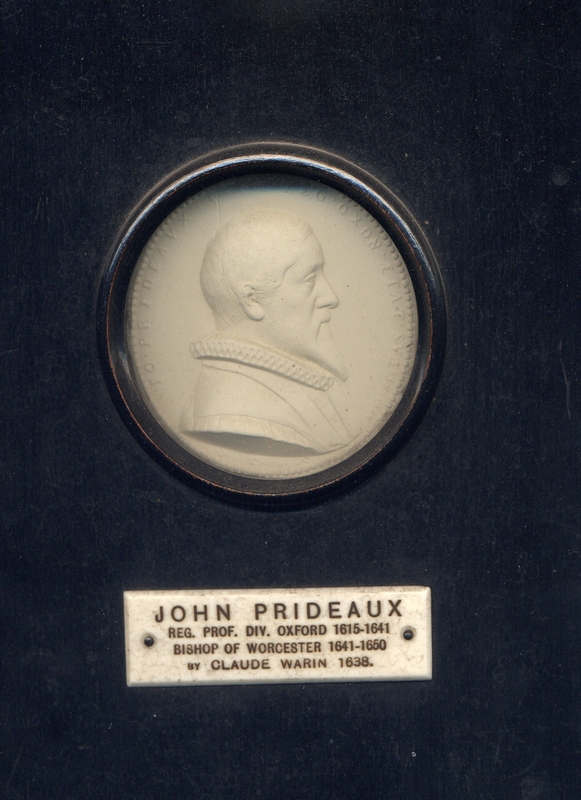 I have read and reread the above poem and Cleveland either knew John Prideaux well, or listened to his friends. He knew so many things about him. The poem also illustrates how well the Bishop was thought of and how pious he was. John really understood the meaning of his Bible. His son William Prideaux who described himself as a chatterbox and a talkative boy, had four of his own lines included in Epithalamia Oxoniensia in 1625, on the marriage of Charles I and Henrietta. A great honour for an eleven year old boy. Inter tot Charites, ut tua Musa volet? Inde Tui similis quilibet esse cupit. Guilielmus Prideaux, Doctoris fil e Col. Exon. his bride, then everybody wants to be like you. William became a Colonel in the King’s Troop and was killed at Marston Moor in 1644. William Stukeley wrote in his memoirs of him. He (William) raised a Regiment in favour of the Royal Party, and maintained it at his own Charge. He was a very valiant man, and slew 14 or 16 of the Rebels with his own hand at the Battle of Marston Moor, where he received his Death’s wound. The grandfather of this William Stukeley, took Ellen Crossland as a second wife. Ellen was William’s widow. the Doctor was wont pleasantly to say, He maintained free-will. Are you trying to make out what the little child is saying? Read, you will die as did Mathias Prideaux, the Rector’s son, who was the first one to be buried in this chapel after its foundation.